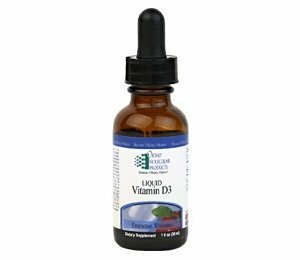 Home > Supplements > Liquid Vitamin D3 1000 IU per drop, 1fl. oz. Vitamin D is most widely known as the sunshine vitamin because our bodies are able to make vitamin D when exposed to sunlight for a period of time. It has received a lot of press in recent days and is probably most well known for the role it plays in supporting bone health. Vitamin D also plays an important role maintaining cardiovascular function, immune function, and promoting an overall sense of well-being. Recent studies have shown that many people, especially the elderly, have a challenge in absorbing adequate levels of vitamin D from their normal diets and sunlight exposure. This underscores the potential benefit of Vitamin D supplementation.